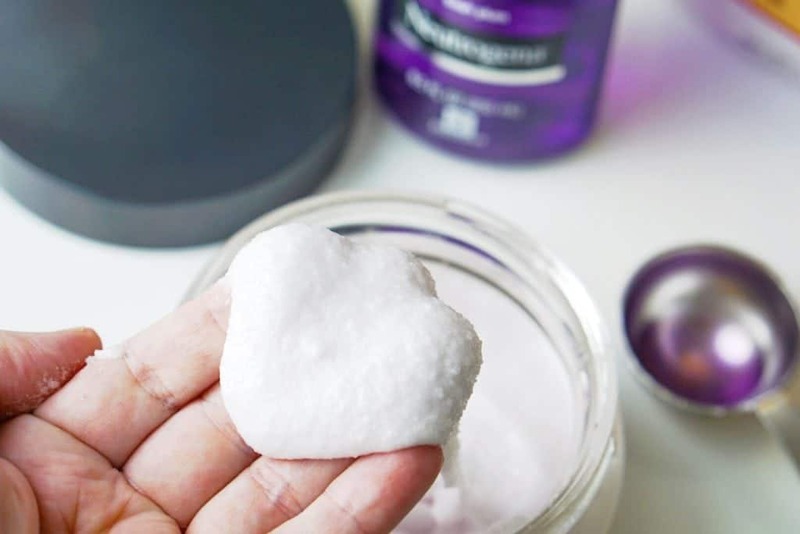 Relax and enjoy some well deserved “me time” with this Simple Sugar Scrub Recipe featuring Neutrogena Rainbath. This post was sponsored by Neutrogena as part of an Influencer Activation for Influence Central and all opinions expressed in my post are my own. When you’re a parent, there are only a few moments out of the day where you can truly capture “me time”. The exceptions are if you’re an early riser or a night owl, but if you are like me and fall somewhere in between, the best opportunity to enjoy uninterrupted time alone is while bathing in the bath or shower. I take my shower time very seriously because I’ve made the bathroom my sanctuary. To enhance pampering and self-care (which is ESSENTIAL when you’re a mom! ), I stock my bathroom with my favorite scents of shower and bath gel, which includes the Neutrogena Rainbath line from Walgreens. 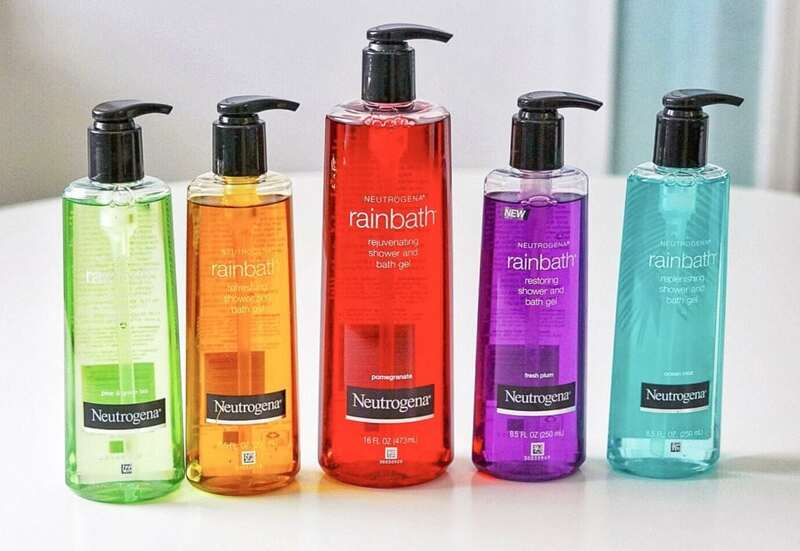 I enjoy Neutrogena Rainbath because the fragrances are clean and refreshing, and the formula is super rich and luxurious, multitasking as a shower gel, bubble bath, and shaving cream! 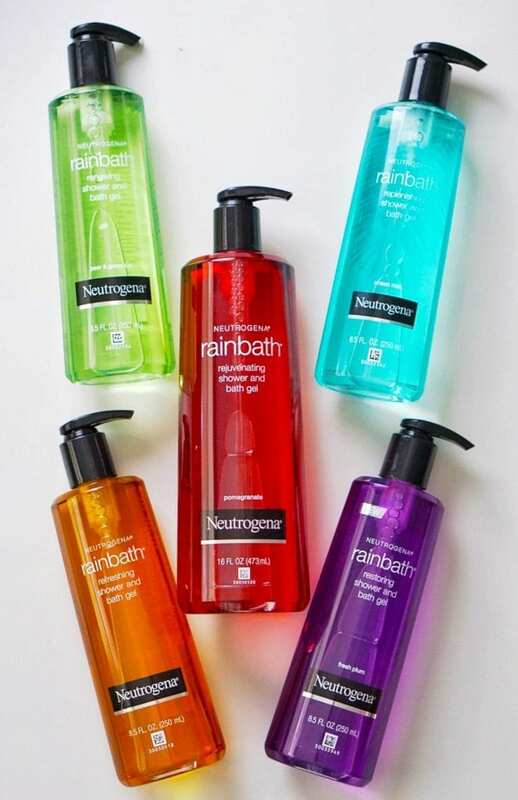 My current favorite is Neutrogena Rainbath Restoring Shower and Bath Gel in Fresh Plum. The scent is vibrant without being overpowering. I love the scent of Fresh Plum Rainbath so much that I’ve made a simple sugar scrub recipe to use before shaving. 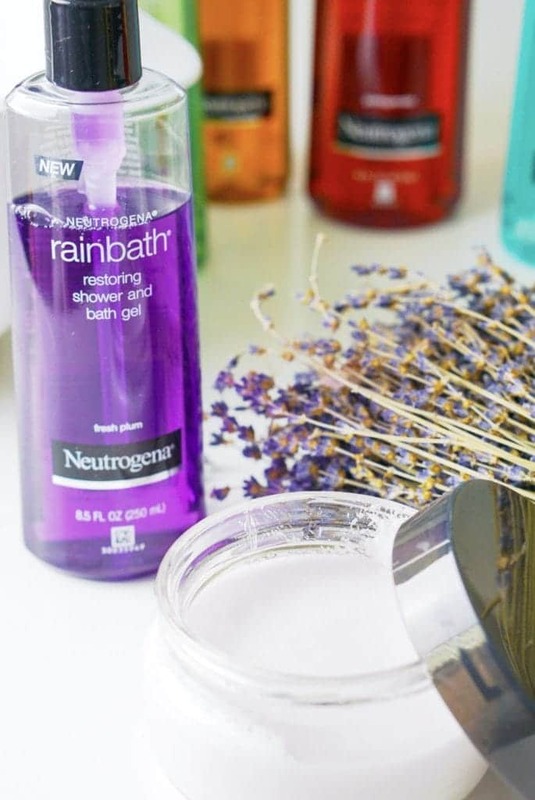 If you haven’t made your own homemade sugar scrub, you’re about to learn how easy it is…all you need is sugar and your favorite shower and bath gel (Of course, I’m recommending Neutrogena Rainbath!). 1. 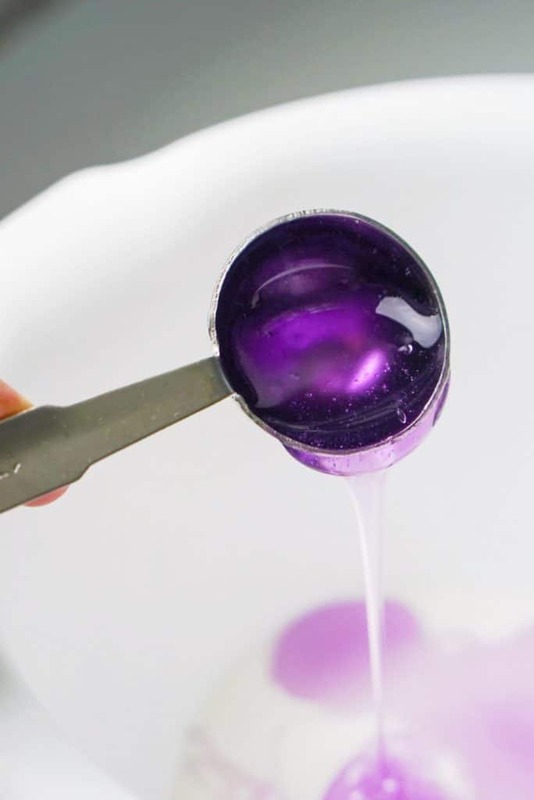 In a medium-sized bowl, thoroughly mix sugar and shower gel. Stir until combined. Add additional sugar if you like a drier sugar scrub. The sugar scrub recipe measurements above provide a fluffy sugar scrub! 2. 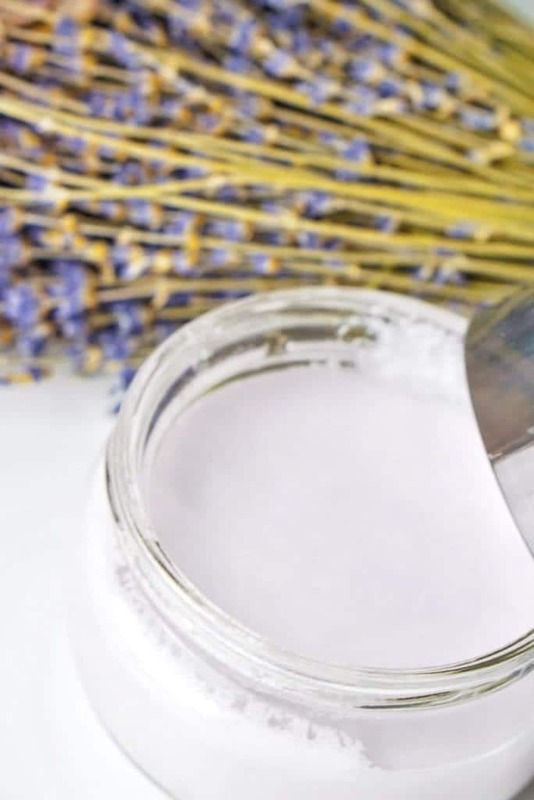 Transfer sugar scrub into a small jar or container. Seal until ready to use. I like to use my sugar scrub while I’m in the shower, before I shave my legs. I apply a small scoop of sugar scrub on to my wet skin and rub in a circular motion until the sugar is dissolved. I then rinse and shave as usual. Remember Neutrogena Rainbath doubles as a shaving gel! 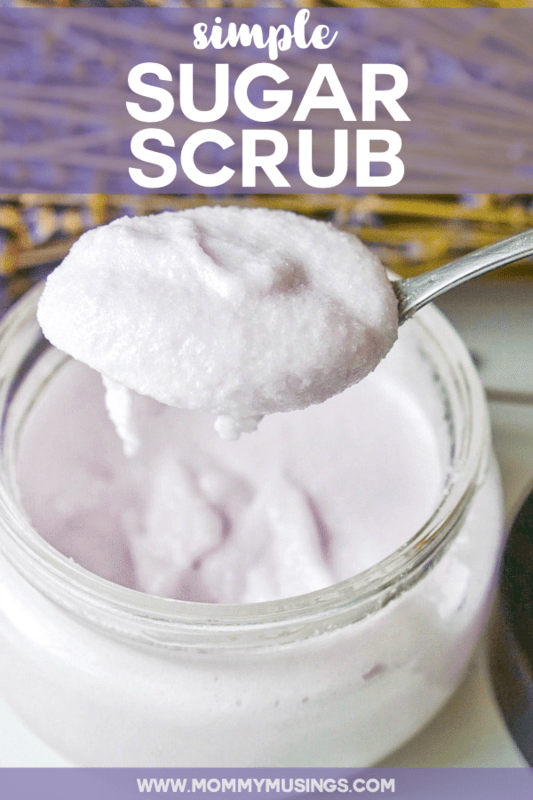 A simple sugar scrub recipe like this one, used weekly, will make your arm and legs super soft! The main benefit of a sugar scrub is that it removes dead skin, leaving skin smoother and less dull looking. Sugar scrubs also feels really nice when applied — almost like a mini massage — and fill your shower with an invigorating fragrance! When you only have a few minutes for yourself a day, make the most of them by treating your mind and body to a daily pampering experience with Neutrogena Rainbath from Walgreens. You deserve it! I-C will randomly select winners from all program entries and RPR will facilitate fulfillment of the winning prizes of 10 winners. Giveaway ends November 4, 2018 at 11:59 pm. US ONLY. 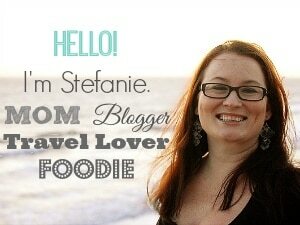 Thank you for the info on how to make a Sugar Scrub. I will try it! 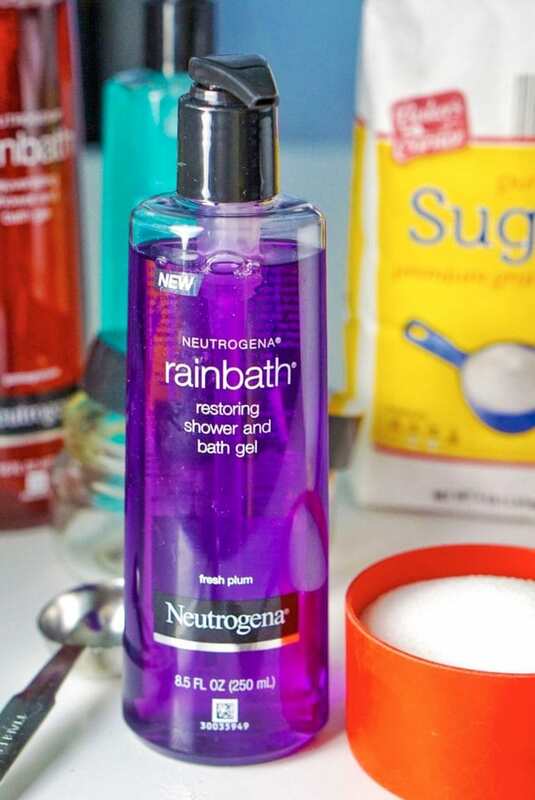 The Neutrogena Rainbath Restoring Shower and Bath Gel sounds fabulous! I would love to try! Thank you for the chance to win!